Mac OS users who have modified their DNS settings may need to clear their DNS cache before the changes take effect. Additionally, sometimes name servers and domains may not resolve as intended if you have stale DNS cache on the Mac, another situation where resetting DNS cache can often be the solution. We’ll show you how to flush out DNS cache in MacOS Sierra 10.12 and later. Note: this uses the command line and thus is aimed at more advanced users. It’s fairly rare that a novice Mac OS user would need to reset their DNS cache anyway, but often just rebooting will achieve the same effect. You will get a verbal audio alert the DNS cache has been flushed when complete. 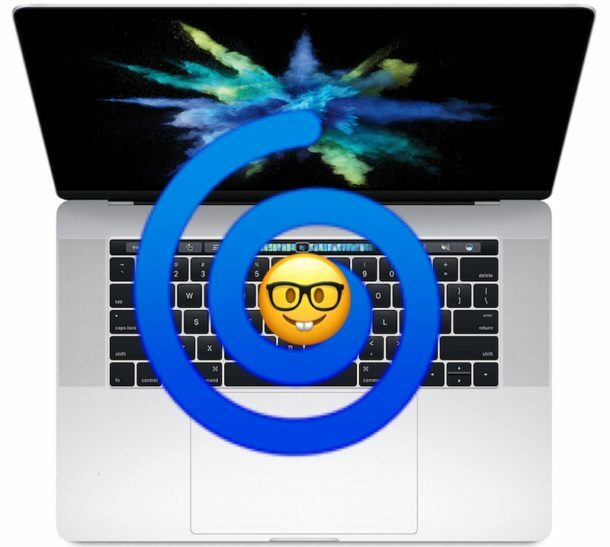 This can be particularly important if you have recently made changes to DNS servers in Mac OS and are finding the changes have not taken effect, but is also frequently used by web developers, programmers, and designers who are working with domain names or after editing the hosts file. Though it’s not always necessary, you may need to quit and relaunch any active applications which are using DNS or networking, including Safari, Chrome, Firefox, Opera, sFTP, SSH, and other similar tasks dependent on domain name correspondence. As before, hitting return will execute the command syntax and reset the DNS caches in MacOS 10.12.4 and newer releases. Remember, this tip is intended for modern versions of macOS including Sierra 10.12 and later. Earlier versions of MacOS often have completely different methods of resetting DNS cache as described here, though since some of the earlier releases are still in deployment it can be valuable to know those methods as well. Have any comments or tricks to reset DNS cache in MacOS? Let us know in the comments! Shouldn’t’ be like “sudo killall -u _mdnsresponder mDNSResponder” ? sudo killall mDNSResponder worked for me in Siera, flushed the cache immediately. Didn’t even need to relaunch Safari for change to take. This worked for me where my DNS was failing randomly. Chrome worked but Safari and Ping etc. could not find the server. Instead of regular tip of how to clean DNS cache, explain users why /etc/hosts is not respected from some of components and even Safari. That seems rather brutal and heavy-handed! How about “sudo rndc reload”? That seems to work at least as far back as 10.8, which is what my DNS server is on. Did it get removed from later versions? Or is there a new bug in mDNSResponder that causes it to not listen to named changes? Type “rndc” with no args to see a list of commands. Type “man rndc” to see a list of command-line options. dscacheutil -flushcache works fine too. It has for many many yearrs. It’s important to note that “kill” is different from “kill -HUP”. Sending a HUP to the process causes it to flush the cache, but does not restart the process. Just using “kill” sends a TERM instead of a HUP, which actually kills the process, which is then restarted by the launcher. Yes, this effectively clears the cache, but it is not as friendly. Does this command delete private browsing history?